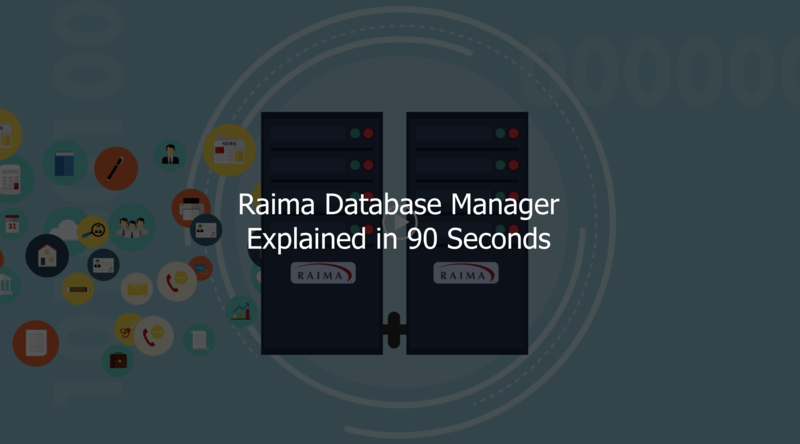 Raima Database Manager (RDM)™ is a cross-platform, small-footprint, in-memory, embedded database developed for resource-constrained environments. It is optimized for performance and reliability and designed to meet future technology demands. RDM provides the highest-functioning database for resource-constrained environments and supports in-memory, hybrid and persistent storage. See our performance testing benchmarks. Multiple API's and configurations provide developers with a wide variety of powerful programming options and functionality. Mix and match operating systems without little endian or big endian compatibility issues. RDM is automated to manage database storage and essentially all the critical functions are self-managed. it frees up time to focus on other things than administration. ACID-Compliance - ACID transactions guarantee that when changes to a database record are made, data is correct and no data is lost. Embedded/Real-time Application - Fully supports real-time system performance. RDM has been designed to meet the zero-administration requirements of an embedded application. Fast In-Memory Performance - Optimized in-memory implementation allows for faster transactions and throughput of data. SQL Optimization Support - Fully-featured and enhanced SQL support, including SQL PL, Stored Procedure and Triggers. Multi-Core Scalability - Maintain performance by adding further resources as demands on the system increase. Small Footprint - It needs only 350k of RAM and minimal CPU speeds to fully operate. With more power in the system, RDM will fully utilize it all to perform even faster. Multiple Indexing Methods - B-Tree, Hash, R-/R+ Tree and AVL indexes are fully supported by RDM and available for users. RDM's modular architecture is designed to meet the complex architecture of embedded applications. Supports pure in-memory storage for 32-bit and 64-bit applications. Allows for faster transactions. RDM enables data gathering on the edge and sends data to the cloud for data analytics queries. Millions of sensors and devices gather massive amounts of data. Raima provides data management directly on the devices/sensors. RDM delivers backend data management that enables information sharing and makes data actionable. RDM enables computing storage and control function closer to the data producing sources. RDM is ideal for creating applications for mobile devices such as smartphones or tablets. RDM's feature-rich SQL component allows developers to create more advanced logic and simple deployment of their SQL database system. "We needed an in-memory database solution that would be adaptable on our custom OS and potentially being scalable onto standard server platforms. Raima's was the only yet the best option we found."